Southpark area 16.924 acre tract zoned light industrial. Close to corner of Southpark, Pinhook, Hwy 89 & 90. 1000 feet front on Commission Blvd. Rail spur ends at the property and can be extended at the buyer's expense. Parcel has public water, sewer & gas available. Great for distribution center and close to UPS & other distribution centers. 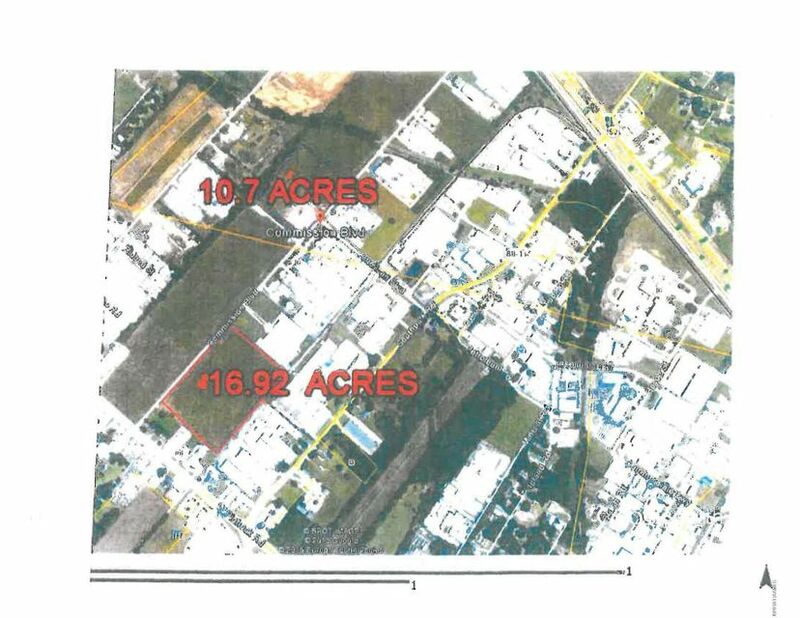 ADDITIONAL ACRES - 00 Commission Blvd., 10.7 acres down and across Commission Blvd. with 700' frontage.